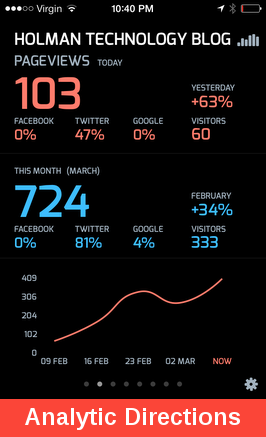 The screenshots were taken via the Analytics app for iPhone. The app is currently 99 cents and be downloaded from Apple's website. It is well worth the money.